That’s looks really good probably on my list to do for the week-end. I hope that you had a chance to give this a try! OMG…my mouth is watering so bad right now. Must drink some Crosby’s until I can get this cake made. You have been in my life for 56 years and will be till one of us die!!! I love you!!! Marie, you’re hilarious. This message made my day! I could care less if there is no chocolate! Ever since I was a little child, I loved Vanilla better, so this cake looks so delicious that I’m nearly afraid to try it — but not that afraid! I will definitely be making this for Valentines day dessert. I hope that you enjoy it! The extra bonus is that it’s quick and easy to make. Even in an 8 x8 pan, this cake will take a few days for my husband and I to get through. Any suggestions on how to not make it turn into mush after 24 hours, perhaps only soak a quarter of it at a time? Good suggestion to soak just 1/4 of it at a time. That way it’ll last a lot longer and you won’t feel obliged to eat a whole cake at once. 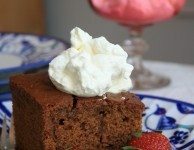 This was the very best ginger cake ever. My husband had two servings after supper and our little grand-daughter loved it too. Soooo moist and delicant. Wanted so much to post a picture of our little and the look of anticipation on her face when she had her piece of cake. Yummy! I’m so pleased that you loved the cake and am even happier that you let me know. Love the image of your grand-daughter enjoying it too. was delicious, would definitely recommend any one to make. my husband said it was the best desert I ever made. Going to make two more now, the one I made last night was so good it”s all gone. I wonder if your 8×8 pan is smaller than mine? I’ll update the recipe to say that it can be made in an 8×8 or 9×9 pan. What a great suggestion and a treat to know you have more in the freezer when you get a craving. I have places this in my favorites. I am going to make this !!! My mother made this when we were kids. We put the sauce on each piece so that the leftovers didn’t get soggy. Wow!! Just in the nic of time….tomorrow is my daughters birthday…guess what kind of cake she is getting!!!!!!!! Will let you know how it goes over. But I have to make it in a 9X13, (7 of us) Just hoping it works. This is almost identical to the recipe that our Mom and Dad made at home. They always put the sauce on each individual piece as well and I have always done the same for our own family. It is still a favorite of my husband too! 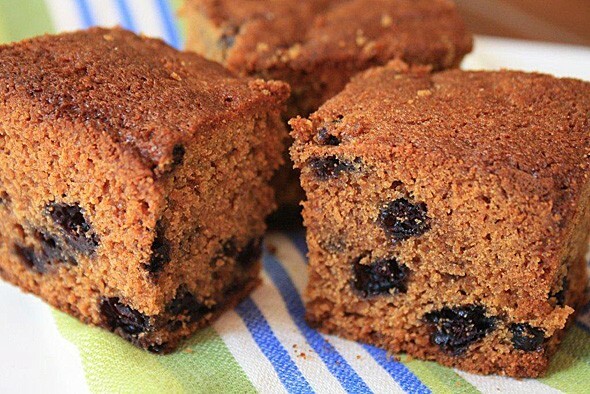 There’s nothing like a familiar gingerbread recipe to bring back memories. By the way, I am now a convert to putting the sauce on individual pieces! I made this for my daughter’s birthday…..turned out great!!!! But, I needed more than 1 pan…thought of using a 9X13 pan…but decided to use two 9X9 pans. I got a bit more in one pan than the other, so the middle of one wasn’t quite done, but it was just a (in case we need it) one, so…was no problem. And everyone took some home…with sauce in bottles. What a great idea to use this recipe as a birthday cake. Love your idea to pour the sauce on individual pieces and sending people home with their little jars of sauce was very sweet. Thanks for telling me all about it! Hi Lorraine — I hope that you enjoyed it! I made this a few weeks back for a family dinner. I had also made a blueberry cheesecake type dessert. This was the dessert everyone went for. I also saved the sauce and served it over each serving, rather than poking the cake and pouring it over. It definately was a hit! I’m so glad everyone loved it! I like your idea of serving the sauce on the side too. Hi Karen. Did the sauce soak in alright for you? I should add that it’s okay to remove the cake from the pan first if it seems as though the sauce will just pour over the edges. made this cake this morning, having it when we play cards this evening. Will put the sauce on the side. Can I add raisins ?? Hi Pat, Yes, feel free to wait with the sauce. Although I know some who have made a double batch of sauce, one for soaking and the other for pouring over. As well, raisins would be a yummy addition too. Enjoy. Hi Mike, Thanks for the suggestion to add crystallized ginger. It sounds so delicious that I think I’ll add it to the recipe, as an option. Made this cake for my family tonight. I cannot have flour so I used brown rice flour as a substitute and it came out delicious! Thank you for sharing this recipe :) I enjoyed the fact that i was able to use b rice flour and make it gluten free….awesome! Hi Francie, I’m so pleased that it worked with brown rice flour. I’ll add that to the blog post so others know it’s possible. Thanks so much for letting me know. We making this Gingerbread Cake With Brown Sugar Sauce for years. Growing up we always had this once a week for dessert. Hi Deborah, I love how gingerbread recipes are often family classics. 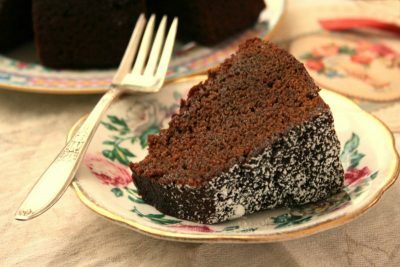 This cake was a new discovery for me but I grew up eating gingerbread with a different sauce on the side. It’s still one of my favourites. 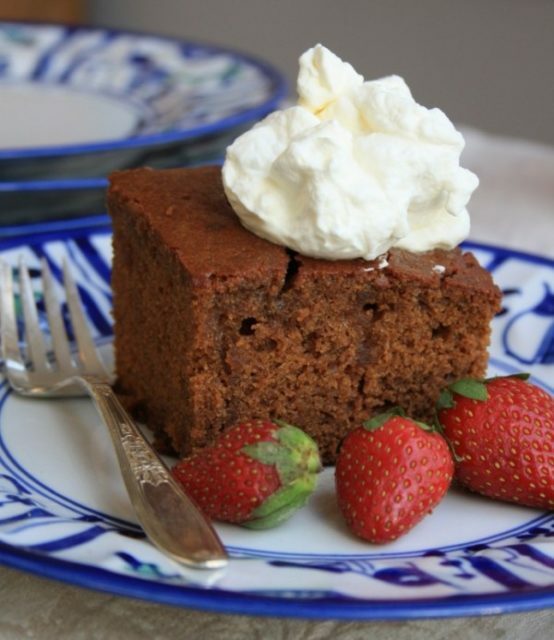 my name is Lucille and i am a weight Watcher i NEED THE NUTRITIONAL INGREDIENTS to calculate the points …..
my mom always made gingerbread cake but she made a lemon sauce with it which i have done for years. i put the sauce on each piece. going to try this sauce it sure sounds deliicous. goodbye lemon sauce, you were so good. Hi Carmen, I love lemon sauce with my gingerbread too. It’s an old fashioned classic, I think. 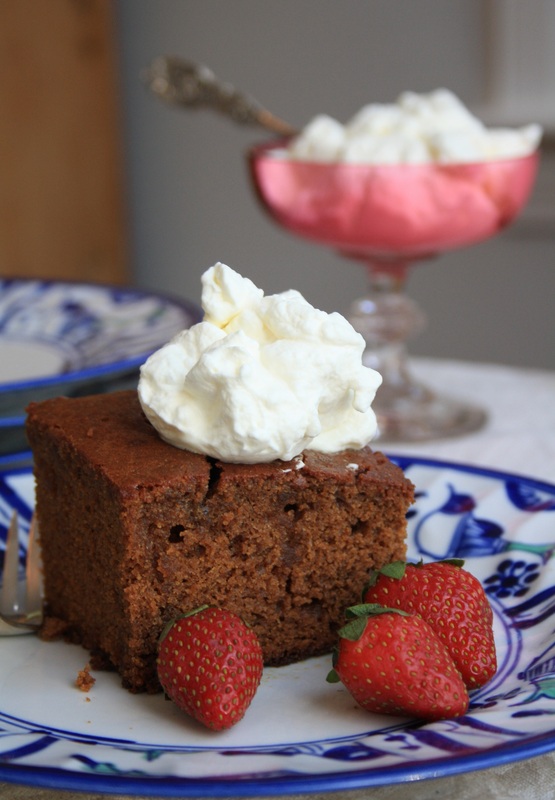 We’ve been making this Gingerbread Cake With Brown Sugar Sauce for years. Growing up we always had this once a week for dessert. I made this as dessert for bookclub and they loved it. It was a great fit for the meal I served which was a hearty winter type affair. Thanks for the recipe…another keeper! Hi Lorraine, I’m pleased this was a hit with your book club. It’s a favourite for me too! I am certainly going to make it and I know that there will be no leftovers. 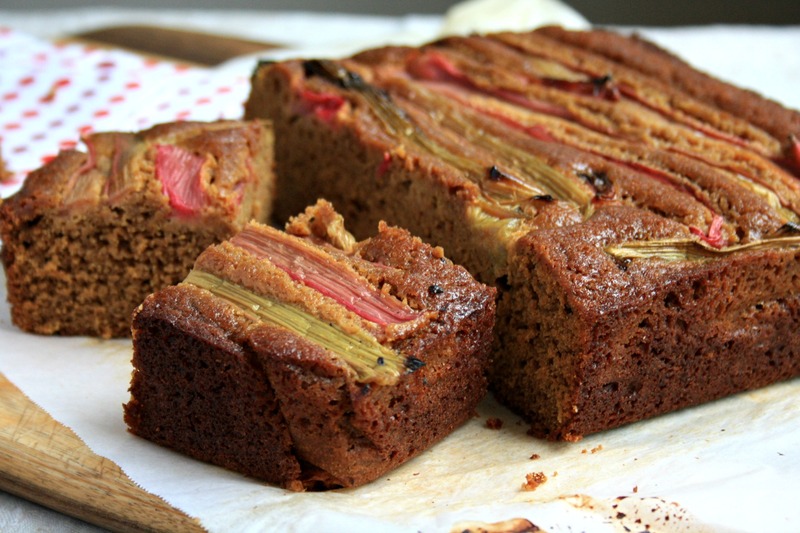 Omg I have been looking for this cake recipe for years. My grandmother used to make this for us with the brown sugar sauce and she gave me the recipe but I lost it. I am so glad that you posted this can’t wait to make it. Hi Ginny, Yes, that brown sugar sauce is an old classic. Glad you rediscovered it. It is very delicious.. I made it in a 9 / 13 pan and loved it. I think putting it into a bigger size pan the cake is not as thick . I also use 3/4 cup of (milk) instead of water. I made mine n a 9 by 13 pan and it was delicious!! Thanks Michelle, Cooking time is a funny thing and hard to pinpoint sometimes. Thanks for letting me know. I’ll make a note in the recipe that baking times may vary.